Am I behind in my reading? Yes. Is this post late? Umm, yeah. Has the comic book world gone insane this week? Crazier than Moore’s Joker, that’s for sure. Frankenstein Underground #1 (Dark Horse): Anything with Mignola’s name tied to it screams… Well, yeah: it screams. Been around the catacomb a time or two with Frankenstein’s monster, haven’t we? 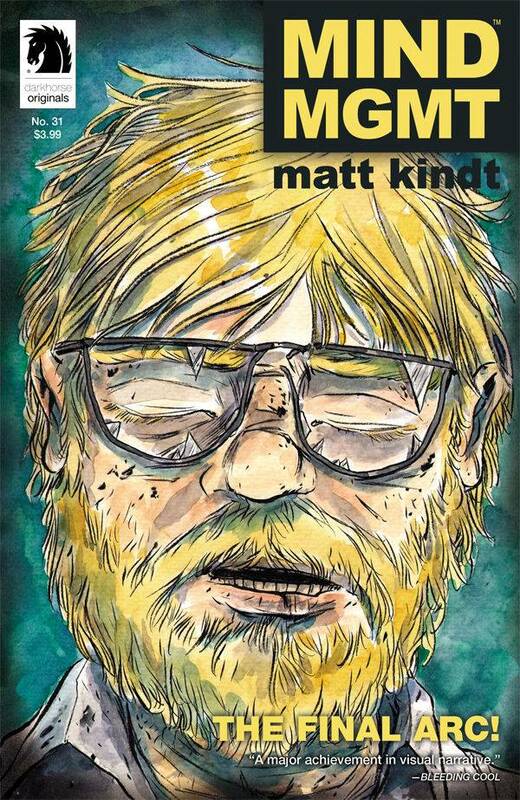 Mind MGMT #31 (Dark Horse): I&N Demand #30 was easily our #1 book of January. Damn thing erased everything and rewrote it even more painfully. There’s something Stray Bullets-ish about Kindt’s attention to detail across the series, in the impact of each issue; in this case, however, every round is a shot to the head. Superman #39 (DC): Geoff Johns’ Superman sounds like Superman, and I’m a super happy man as a result. Who cares if the storyline didn’t develop as well as it could’ve and if Romita and Janson’s artwork appeared faster than a speeding bullet and about as powerful as Mister Roger’s Neighborhood Trolley. 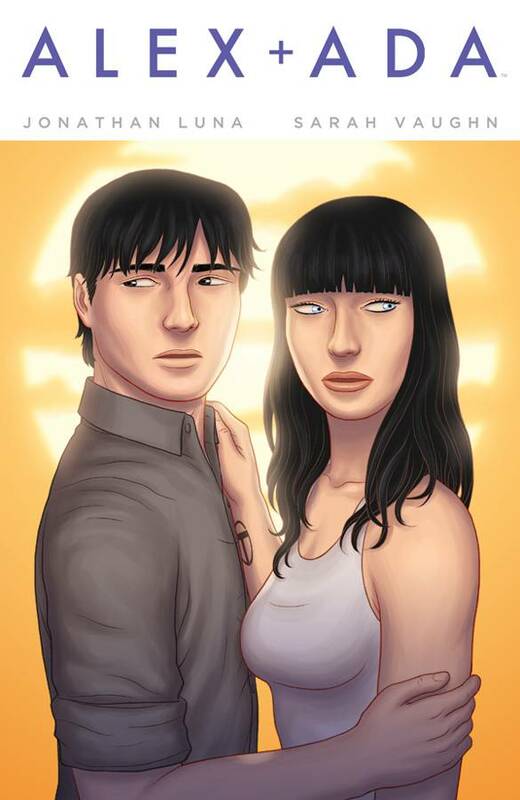 Millennium #2 (IDW): I’m hooked! Joe Harris and Colin Lorimer have captured the creepy, tense, and schizophrenic tone of the TV show–or has the tone captured them? 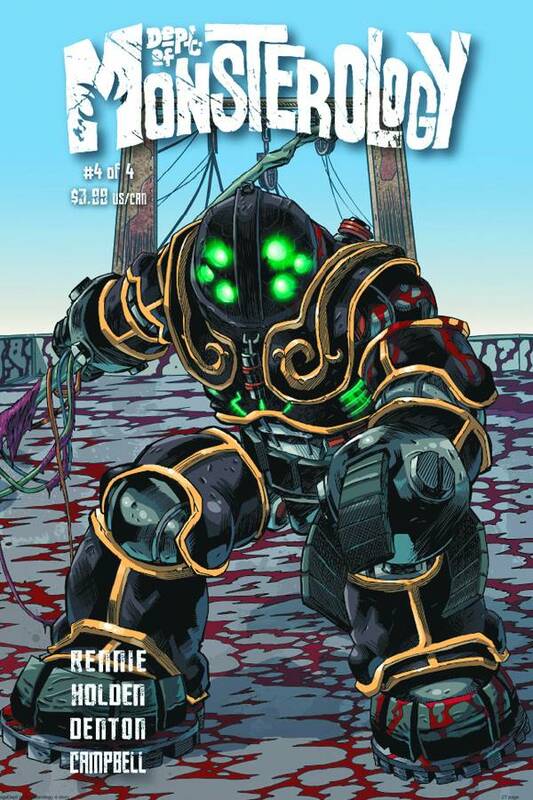 Teenage Mutant Ninja Turtles #44 (IDW): As much as I’ve enjoyed my stay–starting with “City Fall”–I think I’m gonna sai goodbye–I’m gonna katana and run. I’m gonna nunchuk TMNT off of the ol’ pull list; I’m gonna bō out after this arc. 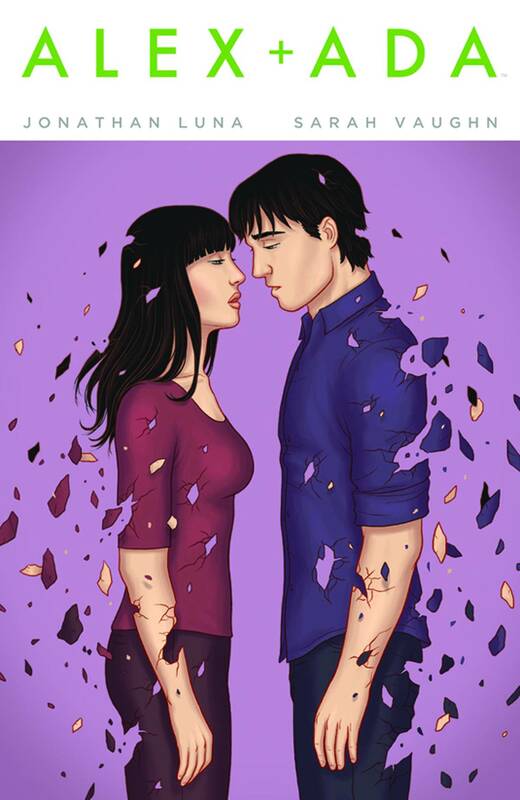 Alex + Ada #13 (Image): I&N Demand This book is a whisper–the breath of a lover that fills your ear and sets off a silent storm that races up your spine, steels your muscles, and makes your skin scream. Yeah, that’s exactly what it is. Invisible Republic #1 (Image): Leaning toward passing. I’ll thumb through it and see if something strikes me. 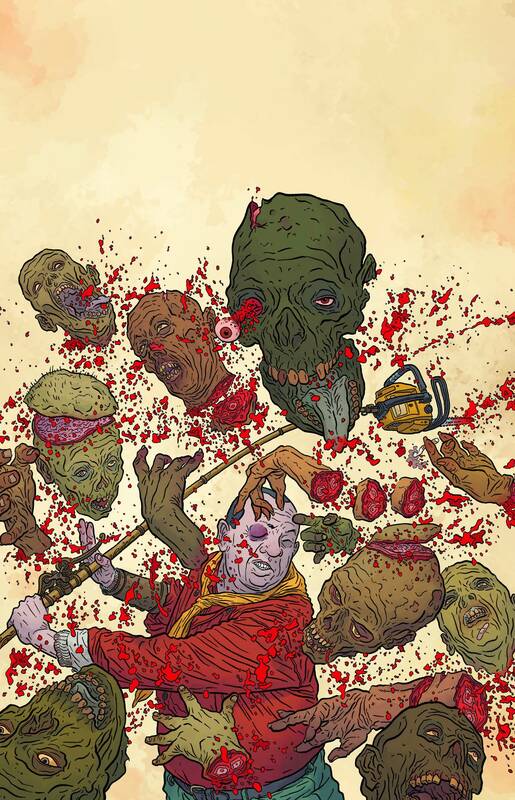 The Manhattan Projects: The Sun Beyond the Stars #1 (Image): Hoping that the new format is the key to recapturing the science behind this once superior series. 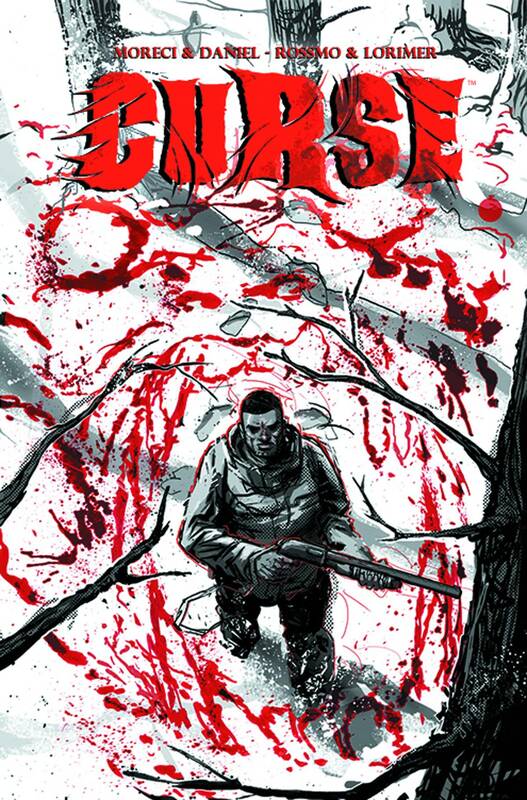 Outcast #7 (Image): Pretty close to exorcizing this one from the list, as well. Despite some interesting moments, I haven’t developed a connection to Kyle–at least one that has me caring enough to carry on with this very wayward son. Satellite Sam #12 (Image): I&N Demand The best TV show in comics. Each episode/issue is a sprawling mosaic of self-interest that reads–unlikely–like a long-story-short told round the water cooler. Love it. 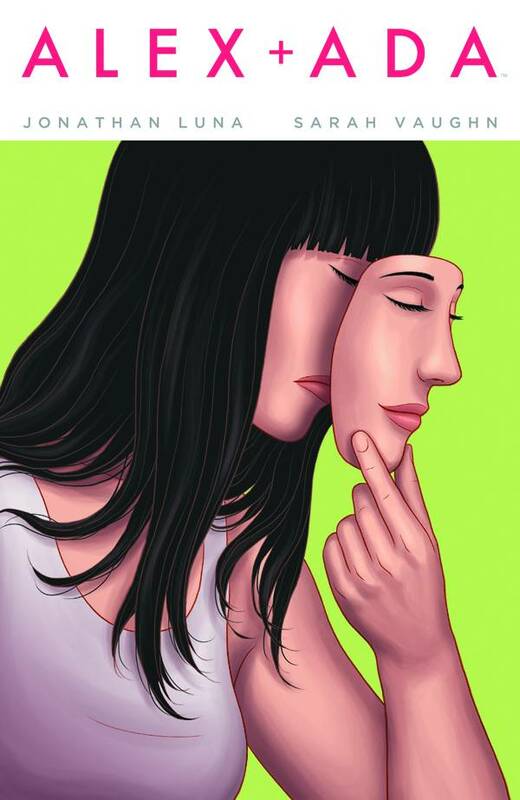 Secret Identities #2 (Image): I was kind of hung up on the untransitions from one character’s secret story to the next. 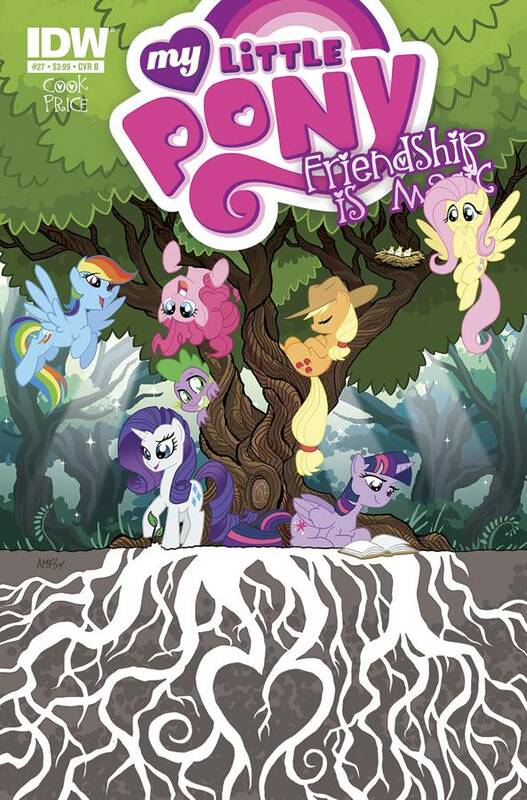 It was a odd choice for a first issue–unless, of course, it was done to emphasize the separate personal spheres, which are such an integral part of the story. Hmm. The twist at the end: ho-hum. Had me thinking Deathmatch in spots. Maybe that’s why I’m on to #2. 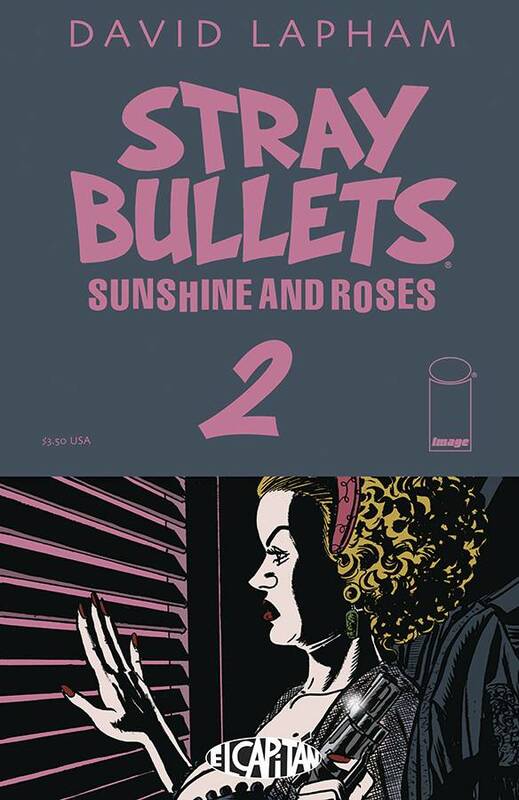 Stray Bullets: Sunshine and Roses #2 (Image): I&N Demand Spanish Scott is a galleon of gold, and #1 let him shine: his pistolet-à-tête-à-pistolet with Beth and Kretch ranks as one of my favorite panels of the year. Zero #15 (Image): I&N Demand #14 could’ve easily ended the series, right? 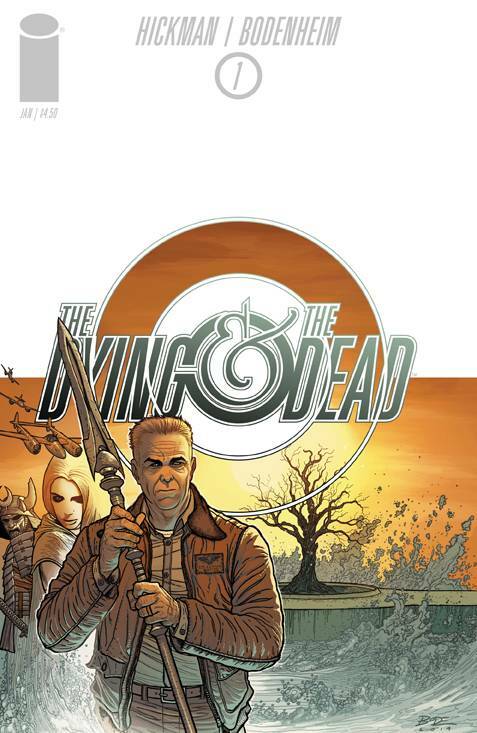 Can’t not speak of the protracted fight scene, which had its moments–including an stare down that jumped off of the page; otherwise, it seemed unnecessary, almost lazy storytelling-wise, which contradicts most of what Kot’s done since #9, our top book of July 2014. It’s been a remarkable run, one that was due a hiccup. 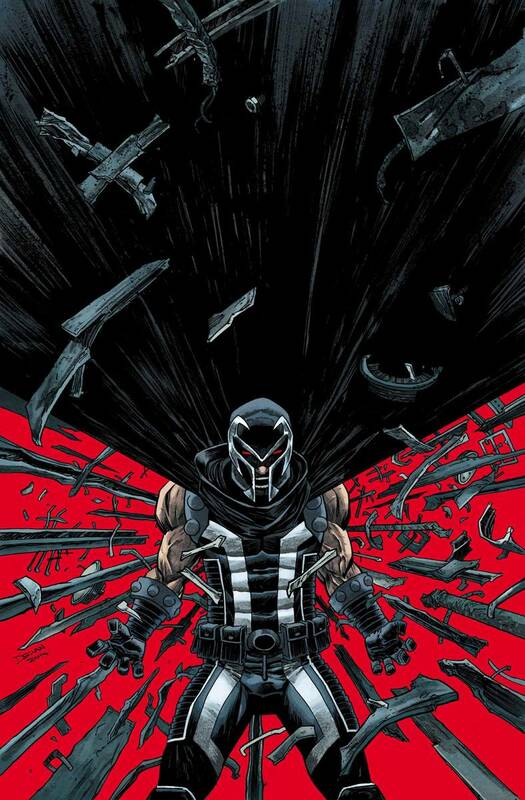 Magneto #16 (Marvel): Magneto’s a badass. And that’s all ye need to know. 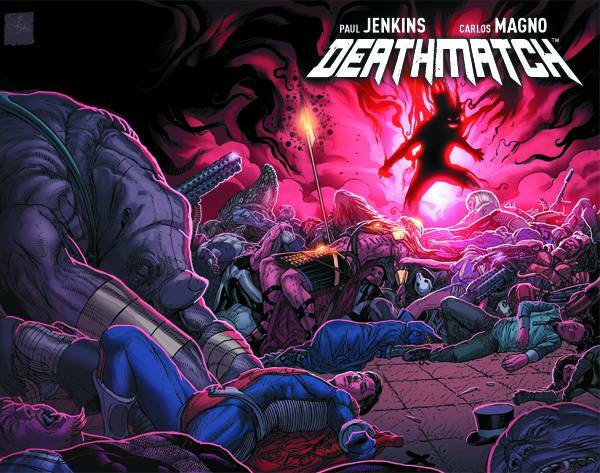 Wondering what “Secret Wars” is going to do to the mighty Magneto. 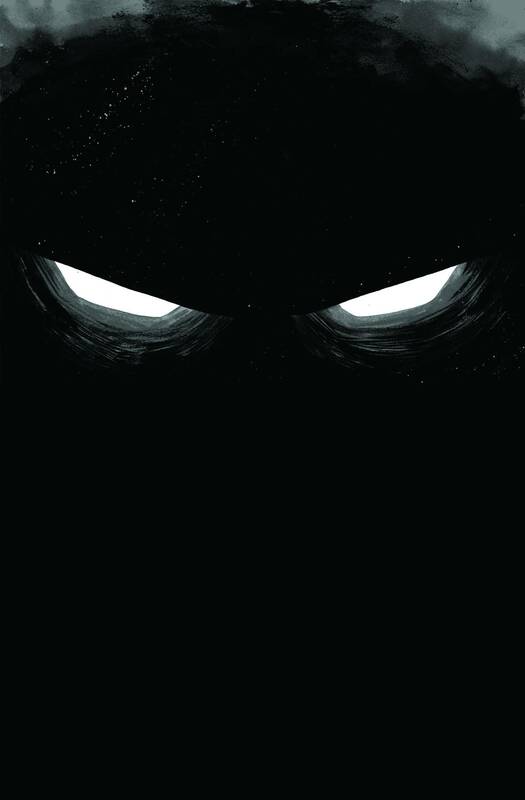 Moon Knight #13 (Marvel): Wood and Smallwood’s run–which rounded out 2014 on a high note–stumbled across the finish line with an inexplicably weak resolution to an otherwise compelling story. Now Bunn takes over–with artist Ron Ackins–with expectations unexpectedly lower. Lucky Bunn. Burning Fields #2 (BOOM! ): I thought #1 was pretty solid. I mentioned that it was like Homeland and The Killing. #2 had me thinking The Bridge. Also kind of lost me a bit. I considered just letting it go, but still I buy. Cap Stone #4 (Titan): Has been OK through three issues. 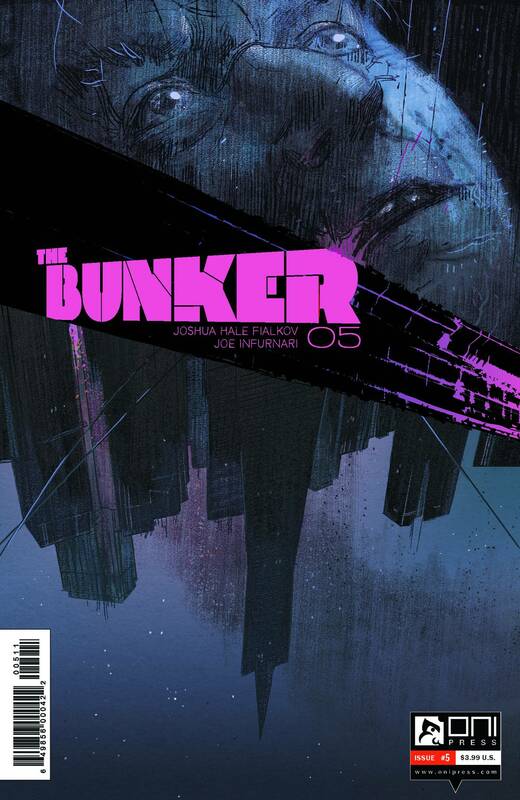 Certainly hasn’t lived up to the promise of the poetic and beautiful–and near miraculous–first issue. Had Moore in mind; ended up Less. Don’t get me wrong: I appreciate Sharp’s vision. Page to page, the narrative’s like nothing I’ve ever seen. At times, however, the disjointedness causes the narrative to stall. 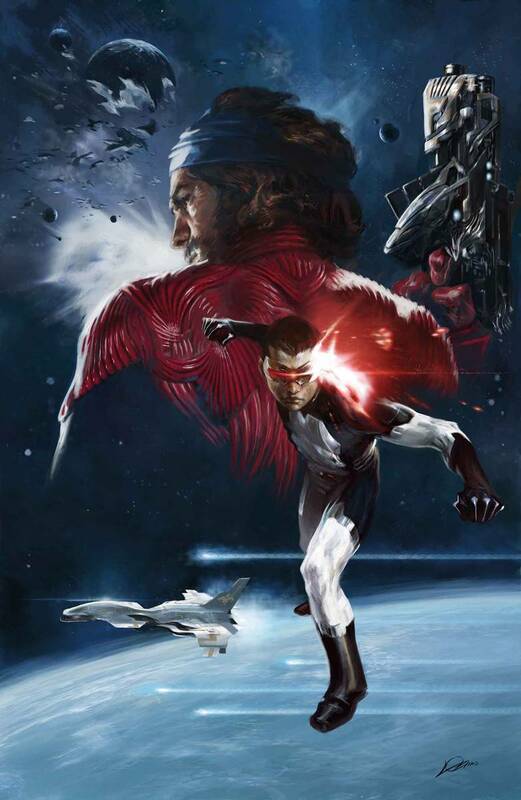 Divinity #2 (Valiant): I liked #1. 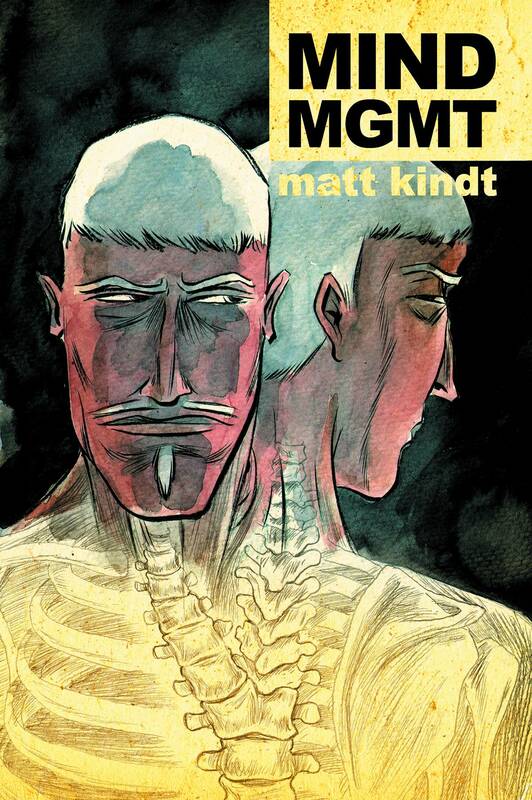 I’m a big Kindt fan, but I’ve struggled to find a series outside of Mind MGMT that works for me. Sure, I’ve enjoyed The Valiant, but he’s sharing writing duties with Jeff Lemire on that one. 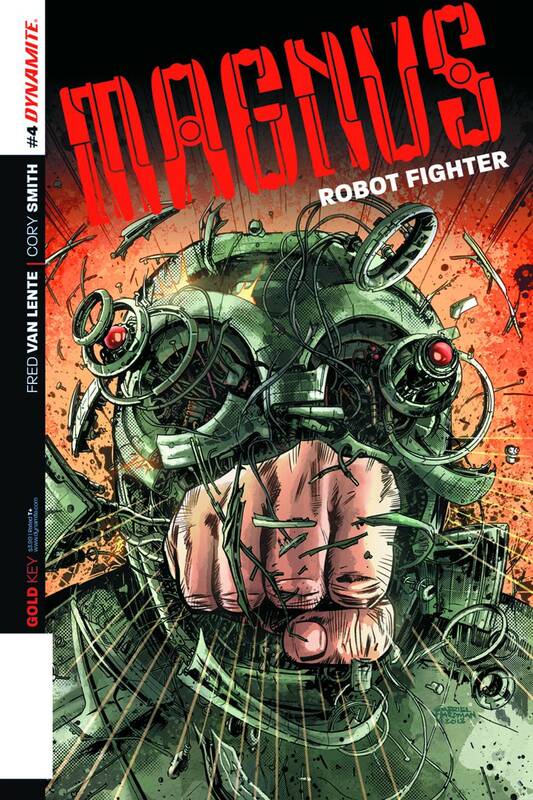 While not mind-blowing by any stretch of the imagination, #1 hit some Kindt-ian notes that rang true, that carried consistently through the issue, leaving me far more satisfied than I was after reading Rai and Ninjak. I certainly hope that #2 transcends to the divine. 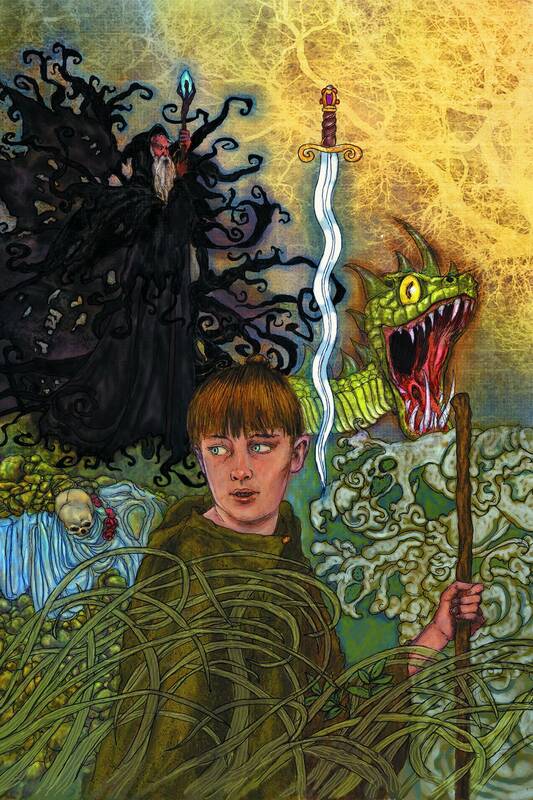 Eye of Newt #1 (Dark Horse): I ain’t a fan of The Hobbit and I ain’t looking to make a habit outta buying books that tease Tolkienesque quests. But this new release from Michael Hague looks awfully pretty. Reminds of Rebecca Guay. Batman and Ra’s al Ghul #32 (DC): OK, so, I’ve been touting this title for over a year now, mostly because of how well Tomasi dealt with the aftermath of Morrison’s fatal calculus. 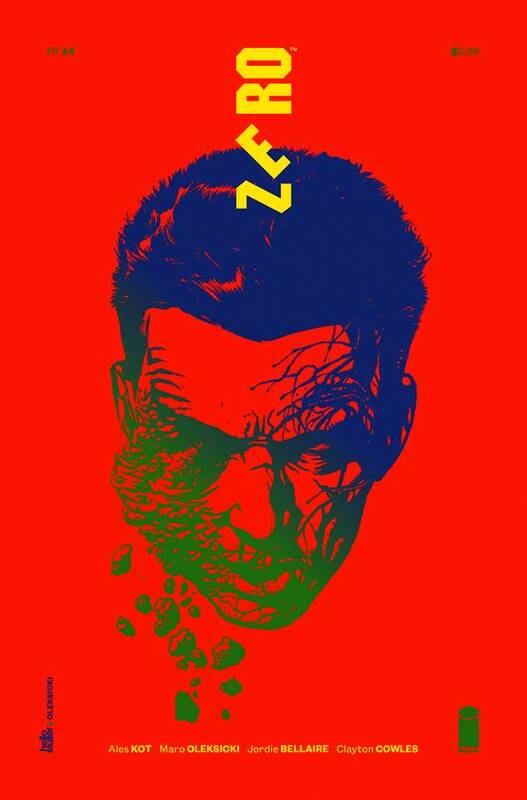 Since the Two-Face arc, however, it just hasn’t added up–that is until #31, which offered the return of Frankenstein and a breath of fresh art from guest artist Doug Mahnke. 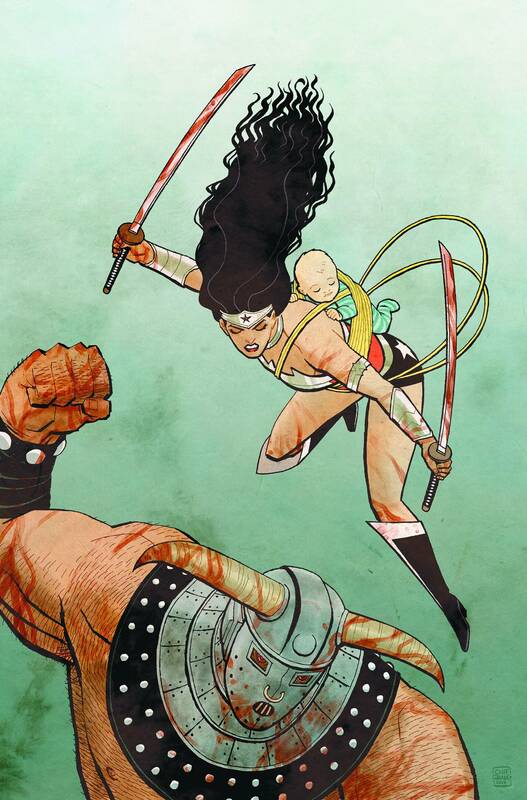 Wonder Woman #32 (DC): Wanna talk about women in comics? The conversation begins and ends with Wonder Woman. In the Battle of the Bulging Bag, the new God of War is the clear winner. Teenage Mutant Ninja Turtles #35 (IDW): No longer gets a bump from being a surprise–and doesn’t need it! I think we can all agree: Mateus Santolouco owns the Turtles. If we’re lucky, he’ll never leave. Winterworld #1 (IDW): Chuck Dixon and Butch Guice? Yes, please! 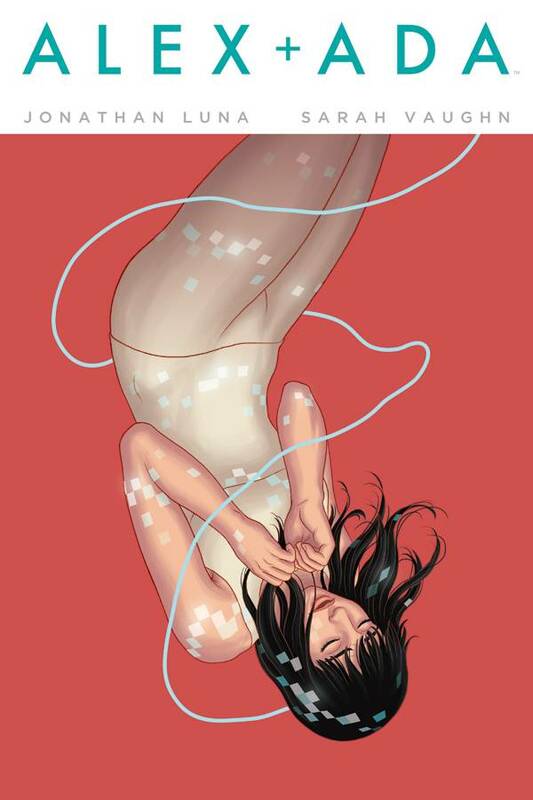 Alex + Ada #7 (Image): Sure, Ada only recently gained sentience; but let’s face it: this book’s been full of life from the get-go. 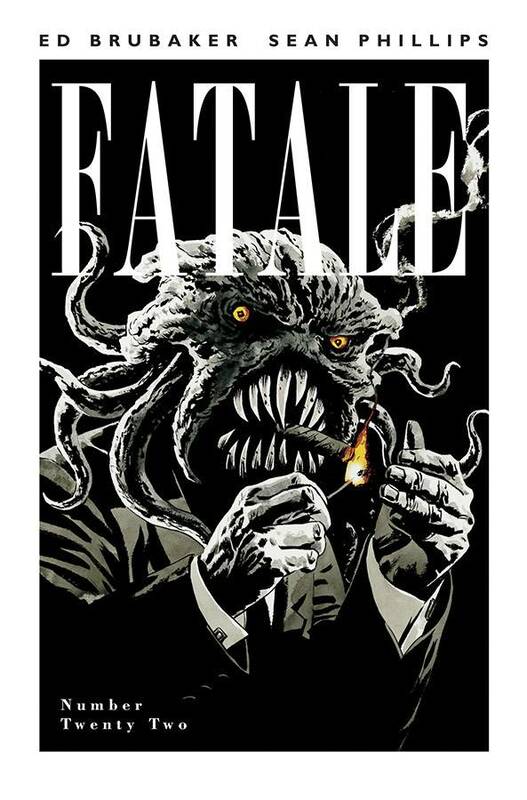 Fatale #23 (Image): #22 worked for what it was. This one promises to be “the strangest issue […] yet.” Guess that means a helluva lot of strange. 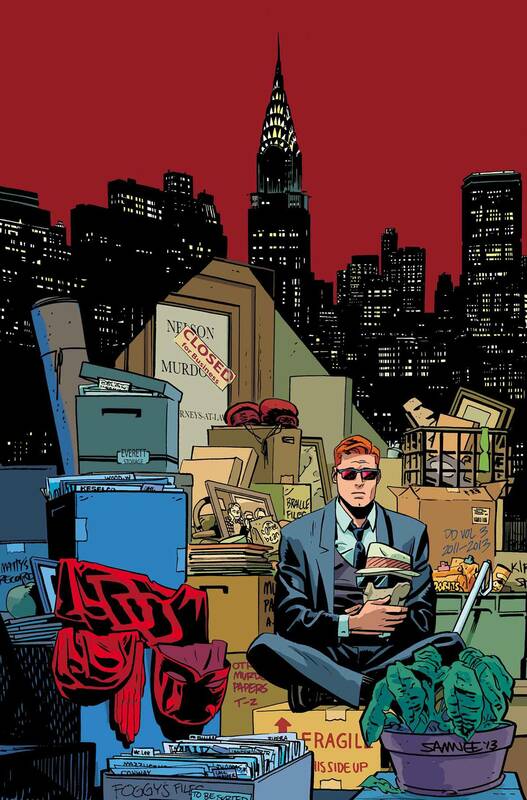 Aw, hell, Brubaker and Phillips may as well wring out the strange sponge on their way out. 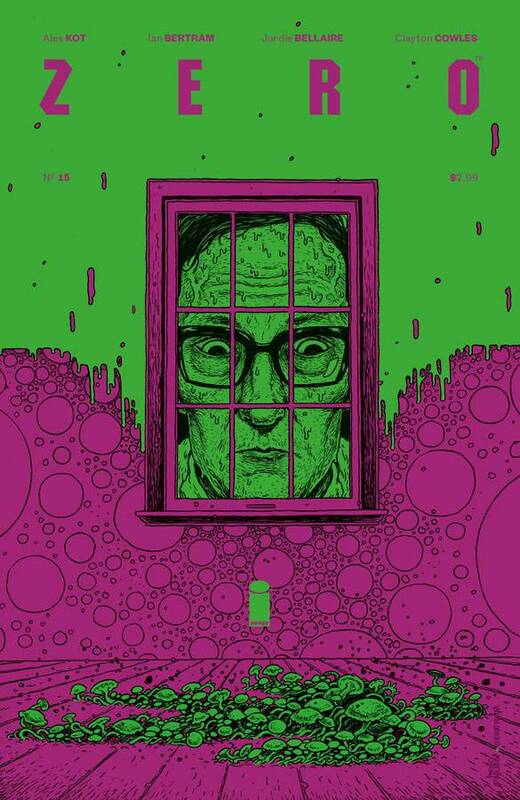 The Manhattan Projects #21 (Image): Gee whiz! An issue featuring a dog! Haven’t read one of those in while. The Wicked & The Divine #1 (Image): Kieron Gillen’s a must try. Jamie McKelvie’s clean style will go a long way toward letting Gillen tell his story about young gods living the life–until they die. Silver Surfer #3 (Marvel): #2 earned its place in our Top 5 for April. Read about it here and discover why Silver Surfer belongs in your bag, too. Uncanny X-Men #22 (Marvel): No longer fretting about my getting. Suddenly, instead, just this: satisfied with Bendis. 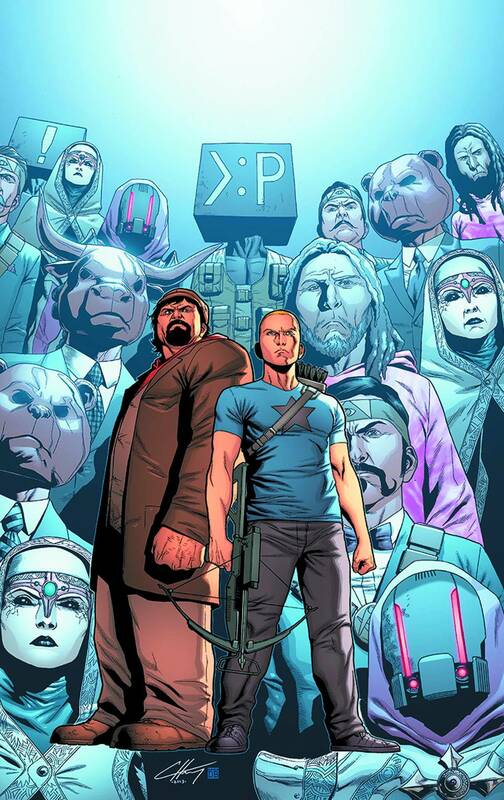 Harbinger #24 (Valiant): Almost done. Shame, really. Has been one of the better superhero team books around. 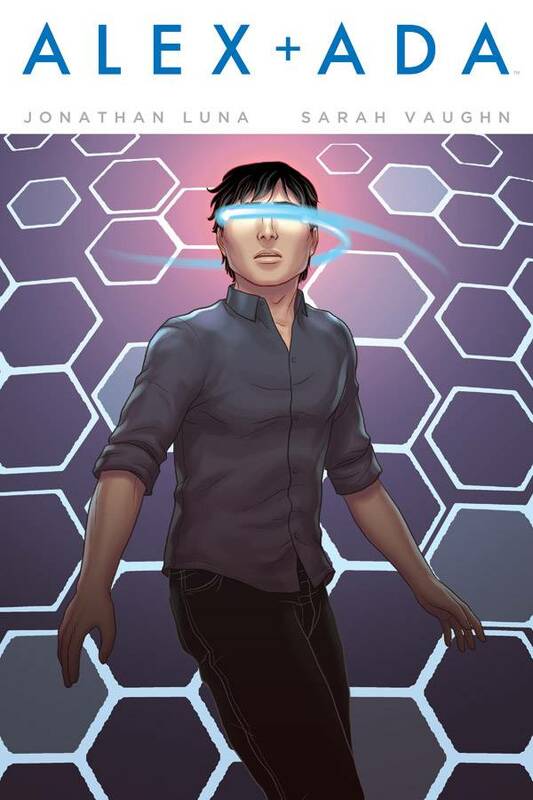 The Last Broadcast #2 (Archaia): #1 was terrific! Can’t wait to discover what’s next! Hoping pretty hard that Andre Sirangelo can keep the same pace here in #2. Translucid #3 (BOOM! ): #2 was the runner-up for Biggest Dis(appointment) of May. There’s a fine line between a juvenile affect and juvenilia. Hoping for more than a month’s worth of maturity here with #3. 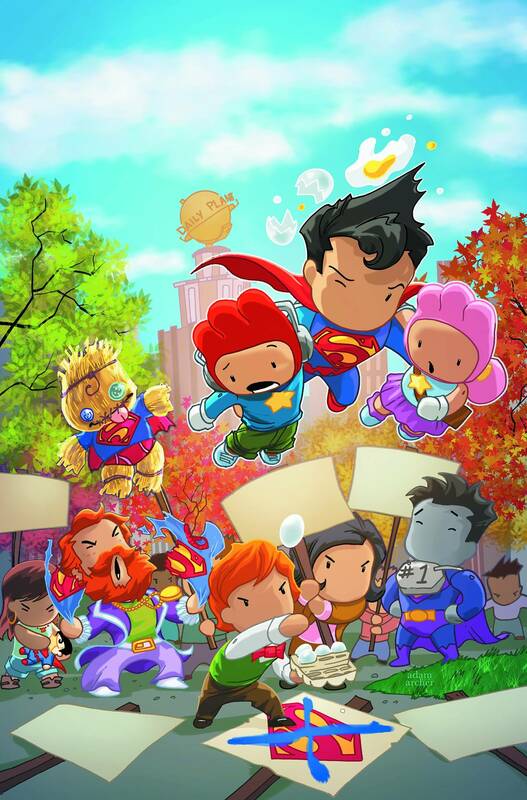 Scribblenauts Unmasked: Crisis of Imagination #6 (DC): Avery likes herself some little heroes. This week, quantity marries quality. The bridal bed: my bag. 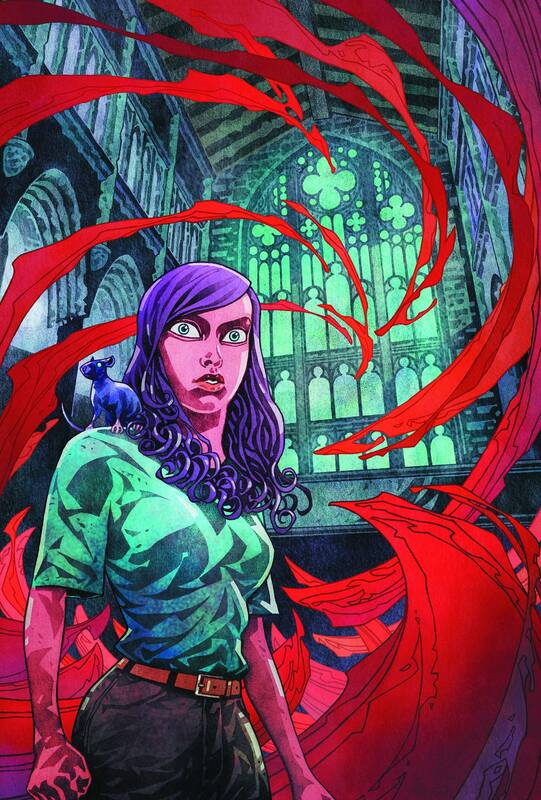 The Massive #21 (Dark Horse): #20 was one of our Top Five Books of February–and deservedly so. 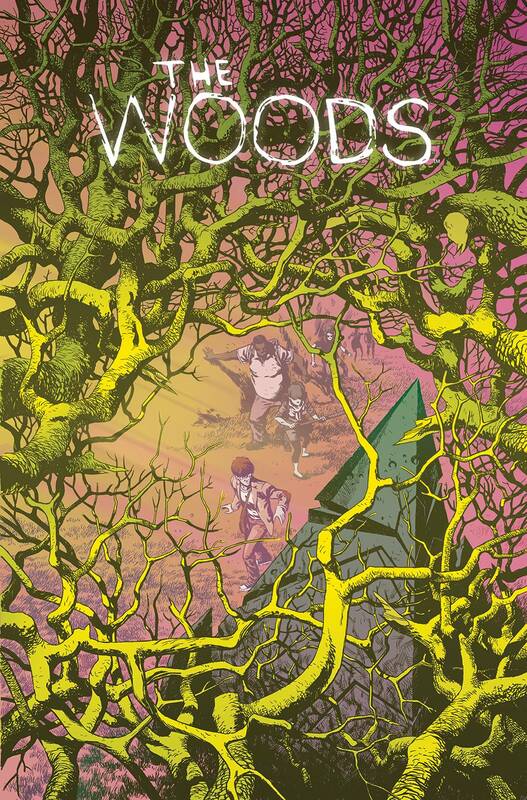 Brian Wood and Garry Brown have hit all the right notes leading up to this arc ender–a real “Bloc” buster! Mind MGMT #20 (Dark Horse): It might seem as if we’re getting paid to say so, but, no, it’s just true: #19 was our #1 book of February. That’s back-to-back top spots! 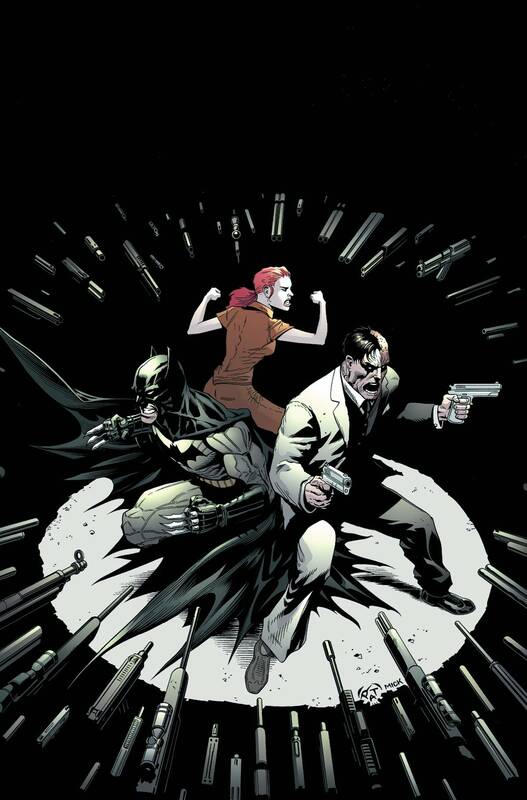 And let’s not forget that #17 was our top single issue of 2013! 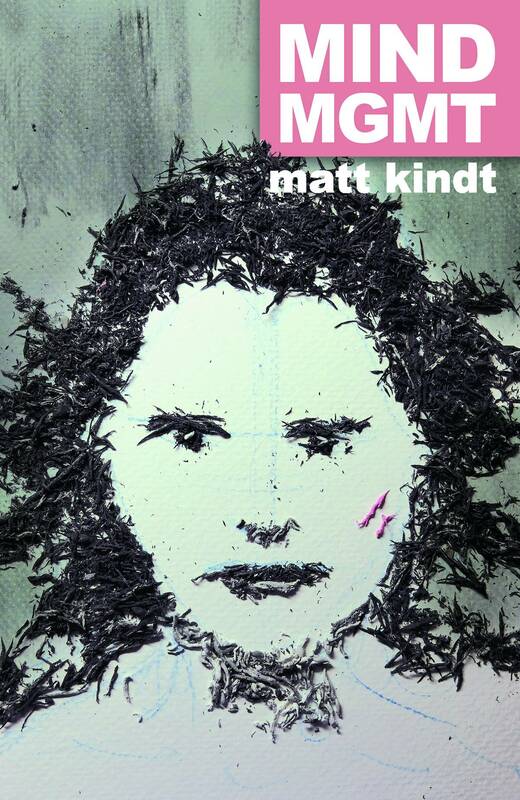 Innovation has been at the heart of our celebration; in that, we can’t wait to see what Matt Kindt has come up with this time around. 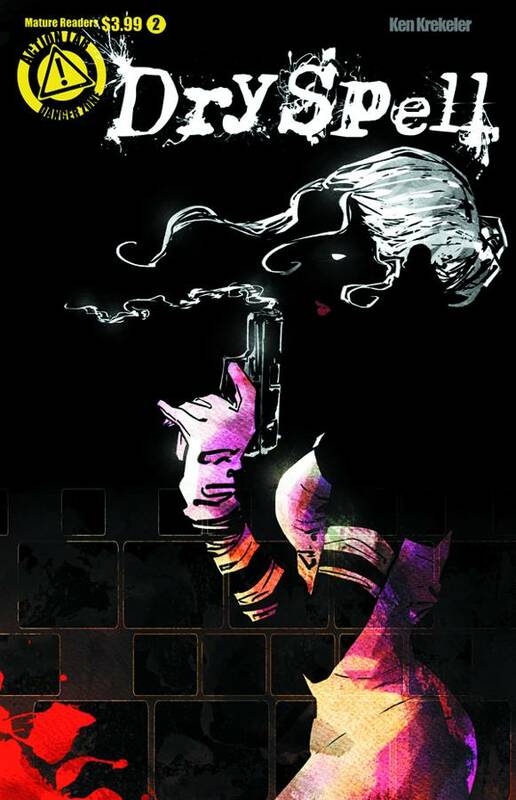 Pariah #2 (Dark Horse): It’s Sheltered in outer space. I like Sheltered enough, so I’ll try another. 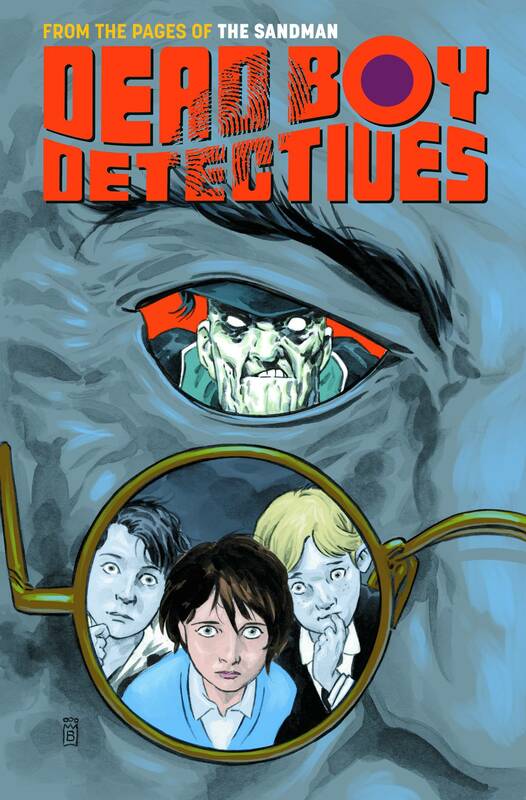 Dead Boy Detectives #4 (DC/Vertigo): So very Vertigo, isn’t it? 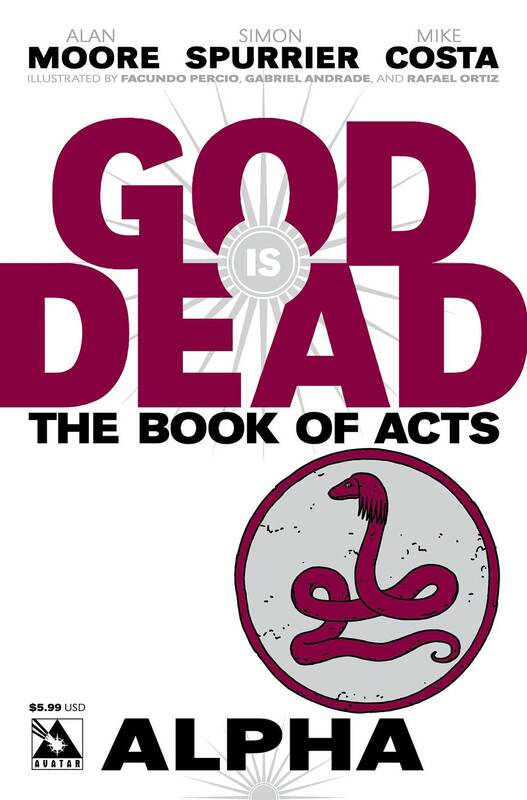 Has hooked me much in the same way John Ney Rieber hooked me with The Books of Magic ongoing back in the day. I love how the three narrative voices come together–kind of like the comic book version of Peter, Paul, and Mary. 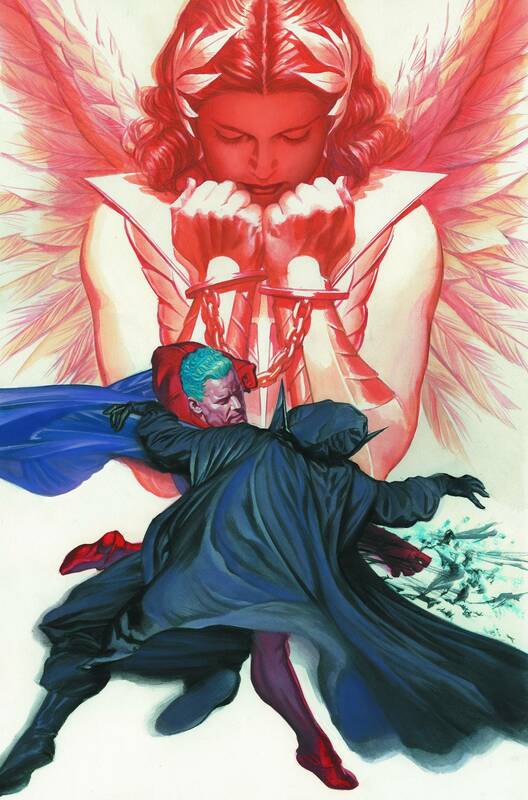 The Sandman: Overture #2 (DC/Vertigo): I’m already over its being overdue. I’m not much of a Gaimanite. It’s all about J.H. Williams for me. His art is always welcome in my bag. 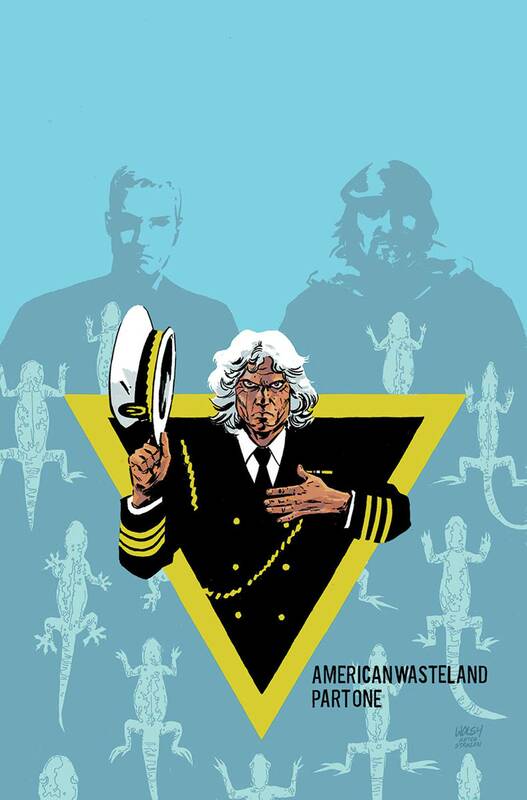 The Wake #7 (DC/Vertigo): Can’t say that I understand the celebratory waves left in the wake of the first five issues. 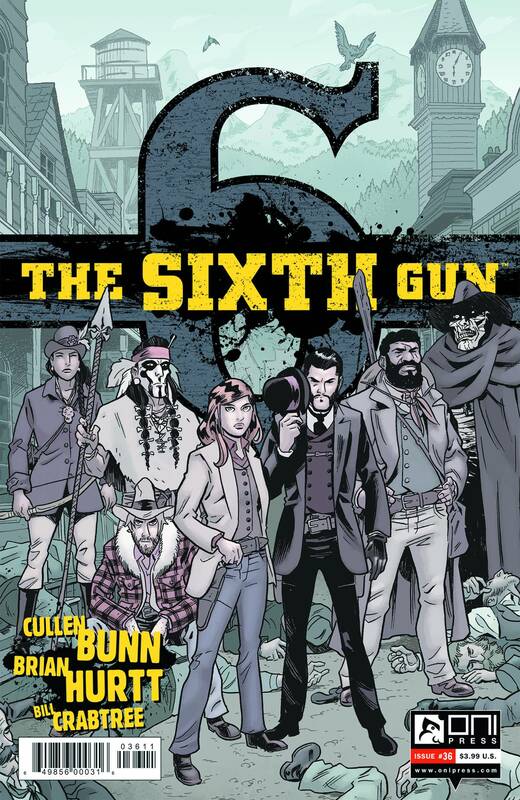 But what I can say with certainty is that I liked #6 quite a bit–despite some expository dialogue that smacks of a Sci-Fi original movie. The clever cliffhanger–one of several selling points of #6–calls quickly–too quickly?–to mind what’s come before, making this month’s offering as crucial as can be. The danger: doling out too much or too little here in #7. Snyder’s got to play this one just right. 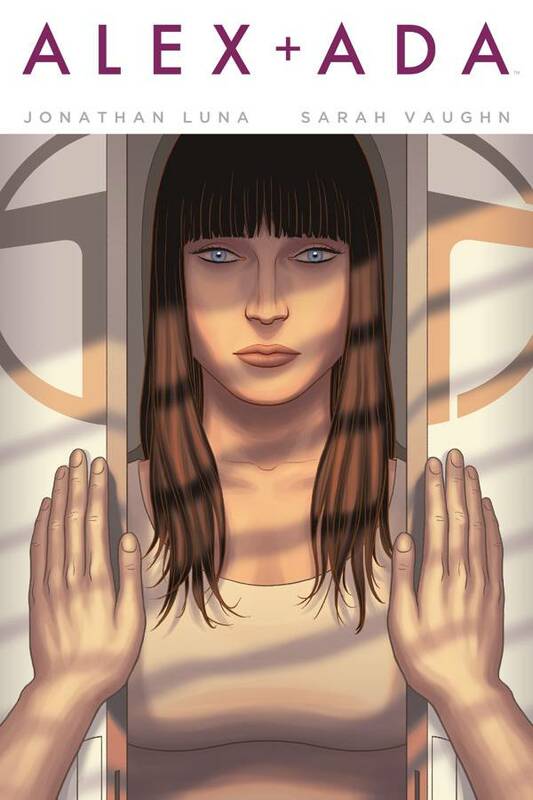 Alex + Ada #5 (Image): Sure, the forum discussion gets a tad technical, but it is easily chalked up as a necessary evil–one rehabilitated almost immediately by Jonathan Luna’s patient visual storytelling, which, along with complementing well Sarah Vaughn’s more economical approach to the dialogue, accentuates the suspense born of Alex’s choice to reboot Ada. Love the way the issue ends: I’m pretty sure my eyes widened–like Ada’s–in anticipation of that final page turn, which revealed, to my dismay, a suffering Ada. 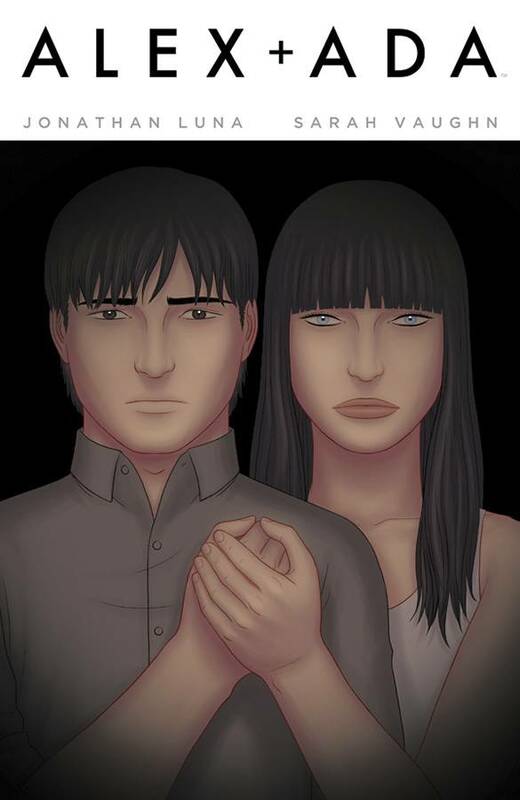 Kudos to Luna and Vaughn for making me suffer along with Ada in the moment and along with Alex for the last month or so. I’m desperate to discover how this pans out for the two of them three of us. 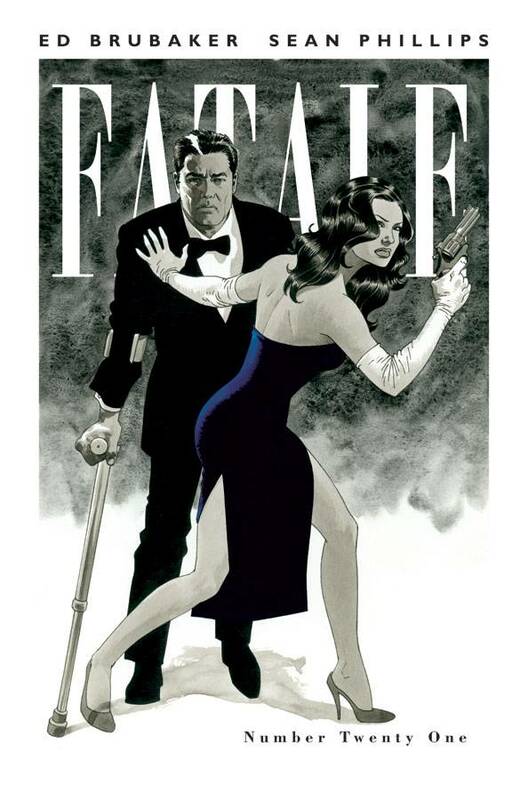 Fatale #21 (Image): This siren song of a series hit a high note with #20–our #2 book of February. 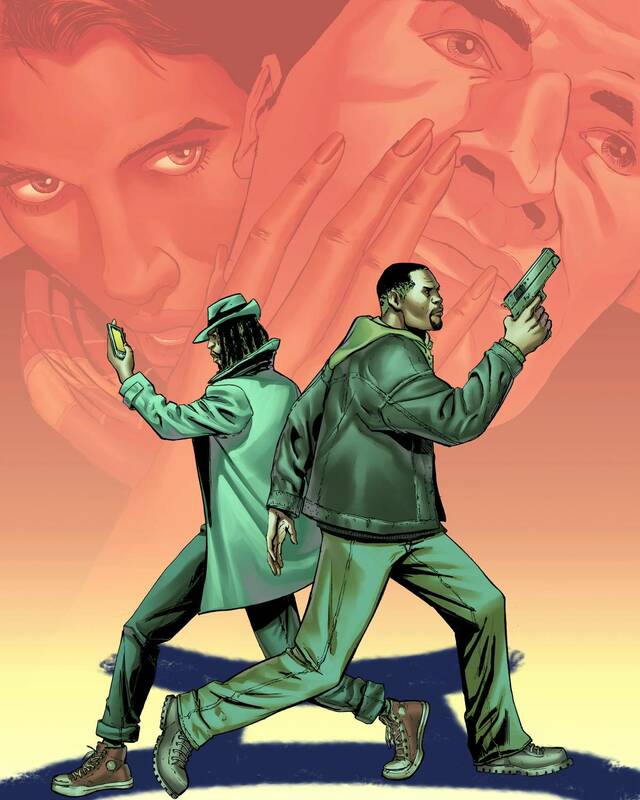 Yet another insistent miracle from Ed Brubaker and Sean Phillips. Not yet willing to accept that Josephine’s story is coming to an end. Satellite Sam #7 (Image): With #6, it’s back to business and, as a result, a return to form. Matt Fraction’s writing is crisp, the dialogue an intricate dance; Howard Chaykin’s artwork is–as always–out of this world. 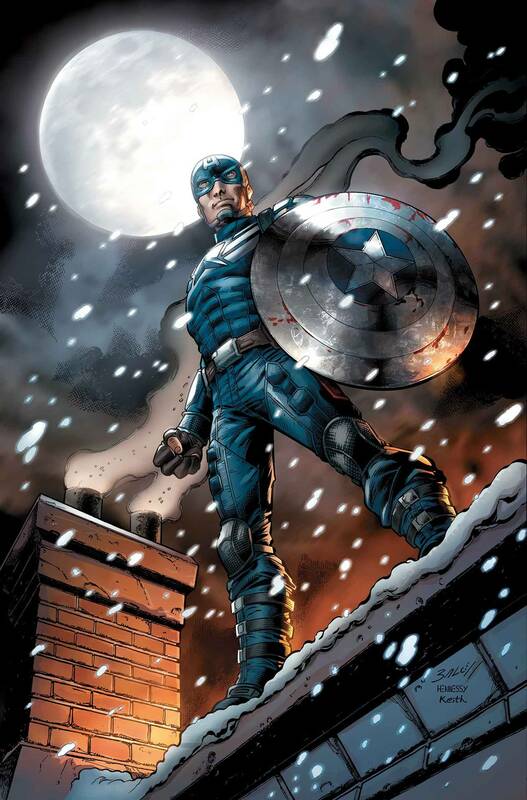 Captain America: Homecoming #1 (Marvel): It’s Fred Van Lente’s turn to wield the shield! Oh, I’m definitely down with FVL. I’m hoping he’s going to deliver the Super Soldier I’ve been longing for since Brubaker bailed–and Remender, subsequently, failed. Iron Patriot #1 (Marvel): Ales Kot (Zero) and Garry Brown (The Massive): a Marvel Team-Up worth picking up! 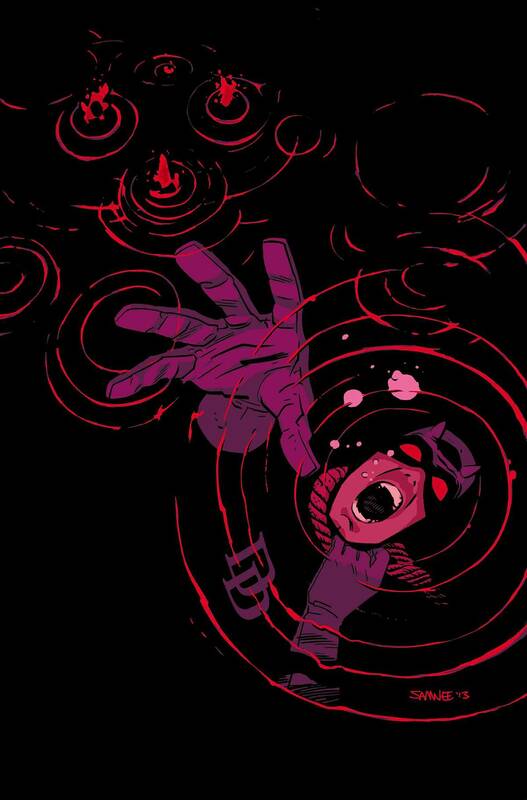 Hawkeye #18 (Marvel): Has been a wild ride number-wise, and, as a result, storyline-wise. #17 was kind of fun in a frivolous and furry way. Speaking of: it’s time for another Kate Bishop singleton! Starting to wonder if I’m buying this for Fraction or for his Hawkeye. I’m leaning toward the latter. 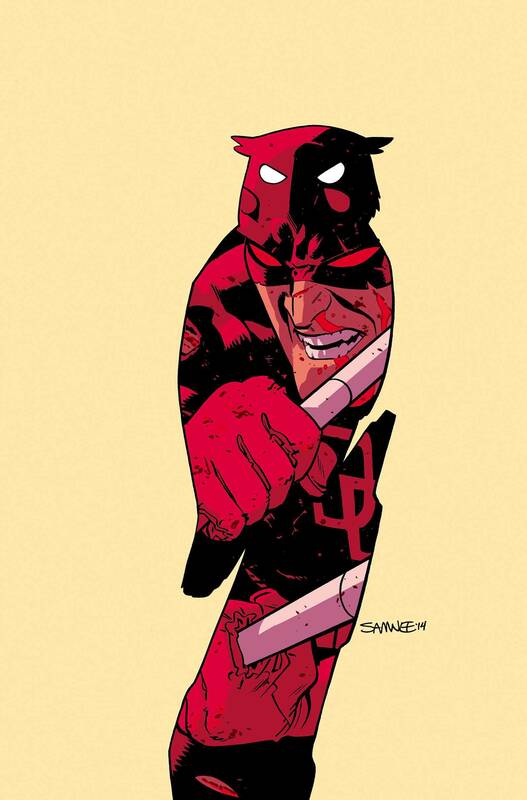 That’s right: I’m the Leaning Reader of Hawkeye–who may pass on Clint-less copy. Miracleman #4 (Marvel): The real Miracleman: Alan Moore. Hard to believe this stuff is thirty-plus years old. 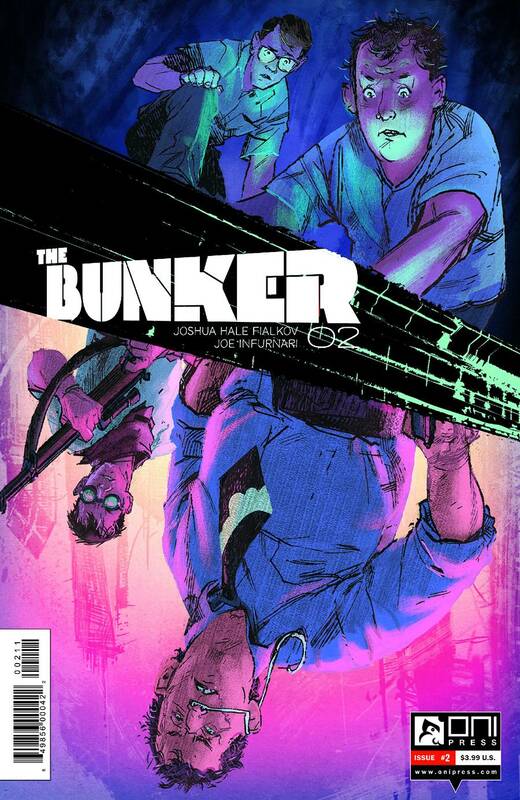 The Bunker #2 (Oni Press): An interesting premise, naturally complicated by the time-travel aspect, delivered with relative ease by Joshua Hale Fialkov and Joe Infurnari. Looking forward to this one. Doc Savage #4 (Dynamite): Still haven’t read the first three. 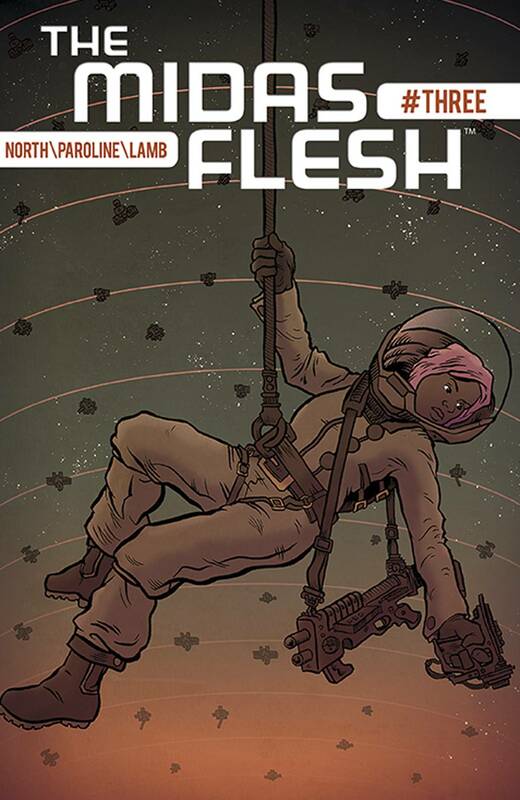 The Midas Flesh #4 (BOOM! 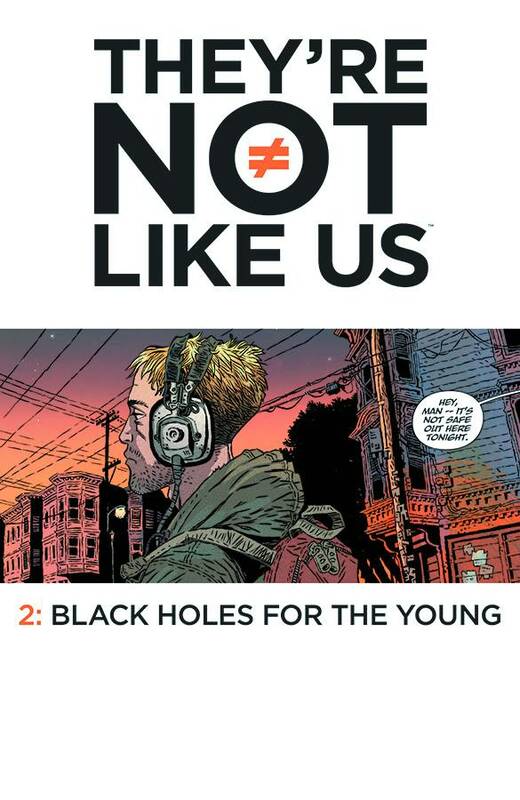 ): #2 was one of our top books of January. 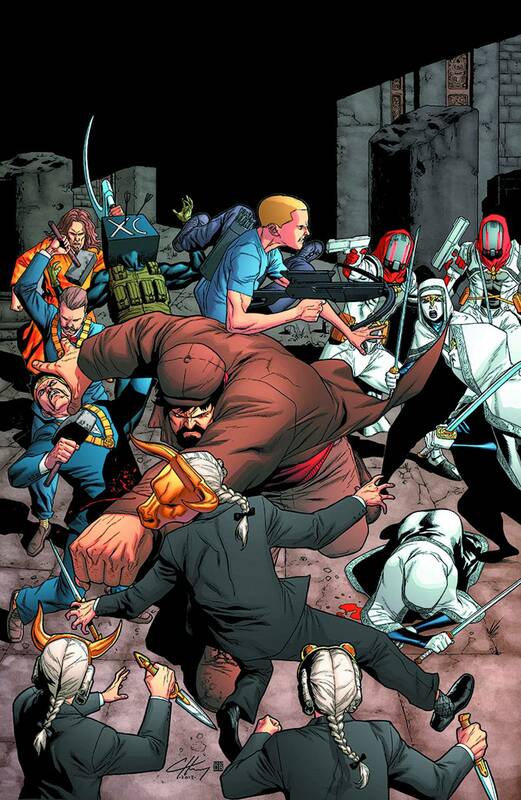 #3 didn’t crack our list for February, but it was solid follow-up that gleefully gave us all the finger–Midas’s finger. 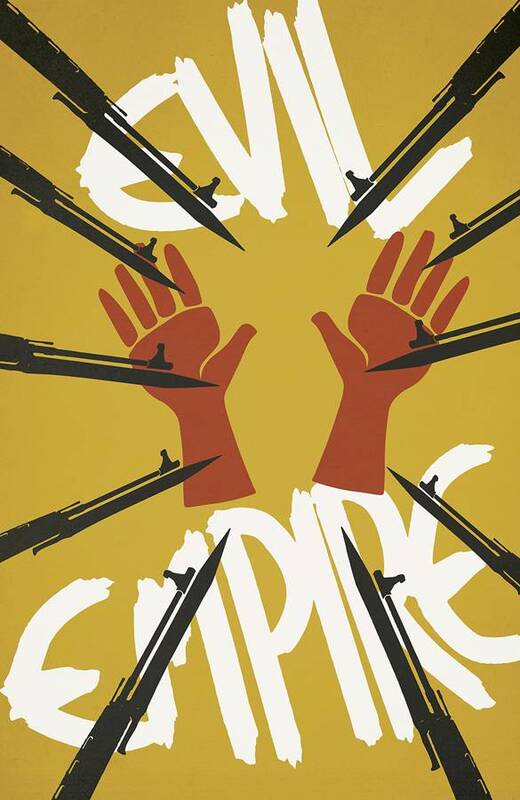 That’s some serious WMD: Weaponized Midas Digit. Talk about the spoils of war! The blood is the treasure! 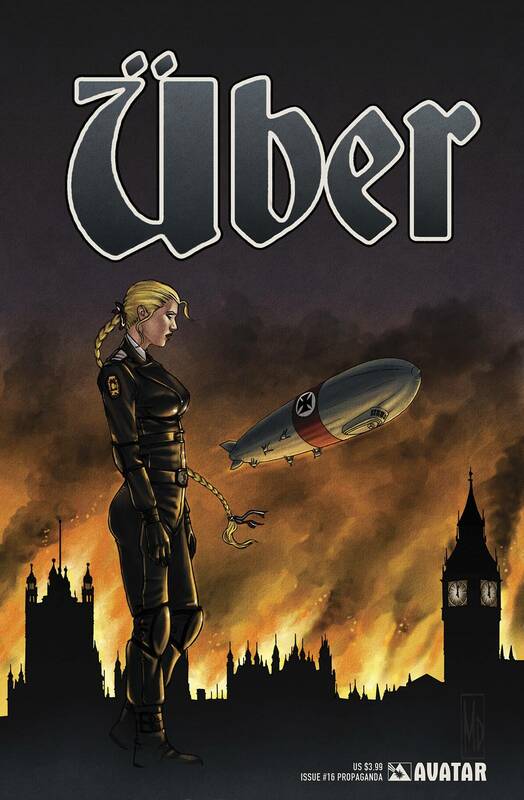 Uber Special #1 (Avatar): I’m still diggin’ Uber. Not too sure how much we need a “special,” though.